Going a bit north, we find Alexandria. Originally built by Alexander the great, it is home to many Greek and Roman monuments as well as the world renowned, recently renovated Library of Alexandria. Taking a walk along the Mediterranean coast, you cross the Stanley bridge and gaze at the beautiful coastal line of this wonderful city. Like any Mediterranean city, Alexandria is known for its delicious cuisine which is mostly centered on fish and seafood. Besides Alexandria, there are many other cities, towns and resorts along the northern coast of Egypt like: Marsa Matruh (known for its white sand and crisp blue water beaches), Agami (known for its night life and crazy beach parties during the summer), Elalamein (where there are many WW2 graves and monuments) and the North Coast resorts (Also known as Sahel, where Upper middle class and the elite of Cairo spend their summers). Diving into the Red Sea is just what people do there. Known for having some of the best diving spots in the world along with gorgeous beaches stranded across its coasts, the Red Sea would definitely prove to be an adventure. In Hurghada and the newly established El-Gouna, people go to enjoy diving, wind surfing, parasailing and laying along the shores. Going south to Marsa Alam and other cities, there is everything from extravagant five star resorts, to totally raw lands and beaches to camp in and interact with nature. Visiting Ain Soukhna is an all time favourite for Cairo locals, for its proximity to the capital, great weather all year round and simple yet vivid blue water beaches. From there before crossing to the Sinai, you could stop for a daytrip in Suez and watch the ships go by on the canal. Crossing under the Suez Canal into Sinai you come to find a whole other world. Sand dunes, golden rock mountains and endless deserts are what you see on either sides of the road. Sinai is home to many small cities and towns along the coasts, as well as accommodations ranging from resorts to huts and tents by the beach. Safaris into the mountains of Sinai are not only a great adventure but a majestic experience. Sharm El Sheikh is the most famous and popular getaway in Sinai, located in the south of the peninsula. It is home to many resorts hosting thousands of people from all over the world. Sharm, as the locals call it, is full of restaurants, shops and nightclubs where the party never ends. Those who prefer a mellower kind of vacation usually go up north to backpackers favourite spots Dahab, Nweiba and the camps along the coast. A popular spot in Sinai is Taba, from there you can see Israel, Jordan and Saudi Arabia; a meeting point of four very different countries. If you go to the complete opposite side of the country, into the western desert, it is a whole other trip. Besides the beauty of the desert itself, and the miles and miles of open space and raw environment you feast your eyes on, there are five oases in the desert; Baharia, Farafra, Dakhla, Kharga and Siwa. Each of those oases has its own culture, traditions, feel and look. They are great to base in and then go on daily desert adventures. Some of the oases also have hot natural springs that you can go for a swim in and many find this to be a soothing and relaxing activity. Amongst the popular choices of spots in the western desert are the white desert, the back desert and the crystal mountain. Each of these is beautiful and unique in its own way, but the elements they have in common are the silence, serenity and the deep blue sky with stars shimmering all over. One of the most popular trips visitors of Egypt enjoy taking is the Nile Cruise. This is a five star cruise liner that takes you through the gorgeous southern Nile scenery, and gives you the opportunity to visit Luxor (Luxor was one of the Pharaonic capitals of Egypt was previously known as Thebes), Aswan and nearby cities like Edfu and Comombo. These cities have about a third of the worlds antiquities. The cruise sails both from Luxor or Aswan, and besides enjoying the on deck pool and the boat facilities, you get to emerge yourself in upper Egyptian beauty, serenity and history. Golfing is a popular activity choice in Egypt since there is great weather all year round. There are various golf courses around greater Cairo, but perhaps the most interesting one would be the Mena House Golf Course which overlooks the Great pyramids of Giza. To take a safari into the desert means you have a sense of adventure and long for the deserts mystery and excitement. Some like to do it via four wheeling (aka beach buggies) all dressed up in the proper gear; sunglasses, headscarf and light linen clothing. Others like to take jeeps into the desert and avoid the excessive contact with the sand. Both are great rides through the sand dunes and some are through the mountains depending on the spots. This trip usually ends with a wonderful place to camp whether to spend the evening or a couple of days, and Bedouins prepare a delicious meal for you on the camp fire with roasted meat, fried rice and spicy vegetables with tomato sauce. There are many different popular Safari spots around Egypt like the western desert and Sinai. Egypt has some of the most beautiful diving spots in the world and vast amounts of dive centers with certified and excellent guides and instructors. From ship wrecks to coral reefs to wild sea-creatures to open water to the blue hole, Egypt offers the best diving sites at amazing prices. While the most popular diving spots are Sharm El Sheikh and Hurghada, backpackers and students also go for Dahab and other spots in northern Sinai. There are a little less than one hundred diverse diving sites all over the country. Egypt has a gorgeous and central location serving as the bridge between Africa and Asia with a coast on the other side of Europe. With an almost 3000 kms coastal line stretching on the Mediterranean Sea and the Red Sea and great weather all year round, Egypt is the ultimate beach destination. On the north coast you can find the still water beaches for those who like to relax in the west in places like Sidi Abdelrahman and Marsa Matruh, complete with turquoise coloured water and heavenly white sand. For those with a more adventurous side going more into the east you can find the same white fine sand and crystal blue water but that is wild with huge waves, great for surfing and having a blast. Along the red sea coast, you wont find much waves but you can find diverse locations with either a seashore as far as your eyes can see or beautiful little bays with mountains all around you giving you a sense of serenity and exclusiveness. Egypt offers many five star resorts on the beach, all inclusive with services and amenities. It also offers cheaper accommodation options right on the shore as well as camping sites that are mostly run by Bedouins, especially popular in Sinai. So whether you want to relax or party, lay by the beach or embark on some extreme sports, golf or visit ancient monuments; we can safely say Egypt would be the ideal place for your holiday. 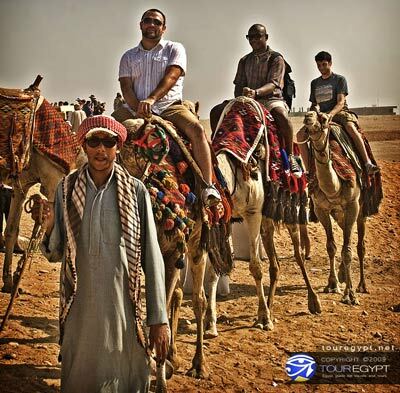 Tour Egypt offers you diversity, passion, and fun. Through customized packages that fit your needs and budget, whatever your heart craves Tour Egypt guarantees. We can give you cheap budget deals, tips and guide you through your holidays in Egypt. Find out more about our all inclusive packages through the website, where our specialists strive to make your visit unforgettable. Have your next holiday in Egypt and enjoy all the beauty this country has to offer.